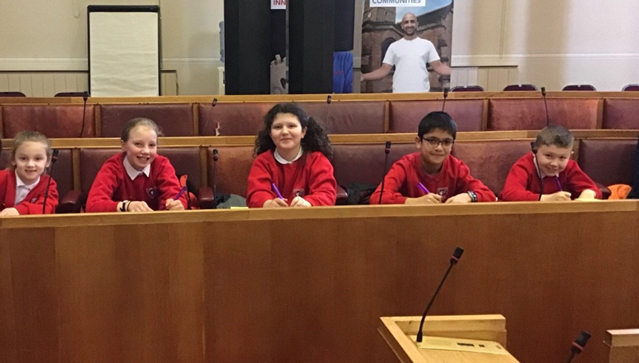 The Junior Leadership Team have been to the Dudley Council Chambers and took part in a debate against children from Peter’s Hill Primary School. We discussed the motion: ‘Spending too much time online affects the way you feel.’ We agreed with the motion and gave lots of reasons to support our opinions. The children did a fantastic job and really thought carefully about the reasoning behind their ideas. It was a great experience for the children and a brilliant way for us to consider how much time we spend online. Perhaps at home, you would like to discuss as a family how much time you all spend online and whether or not you need to cut down! Below is a link to the Safer Internet Day website - there is lots of information and guidance for parents and children as well as videos and a quiz for you to have a go at, so please take a look if you get chance.